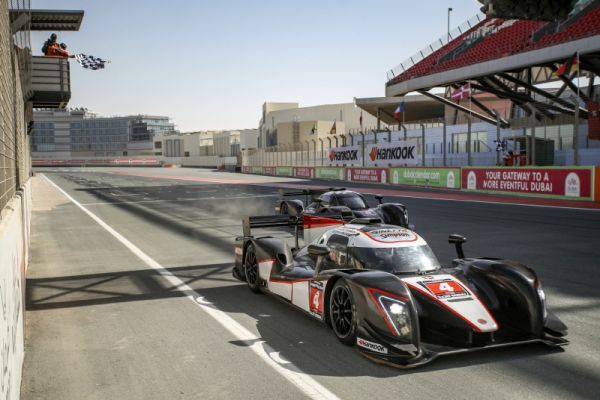 Further back in P3, the Graff Ligier JS P3 (#44, Michal Broniszewski / Giacomo Piccini) secured the runners-up spot in both races, the only two-driver line-up in the field finishing 6th overall in the second race and improving to finish 4th overall in race three. 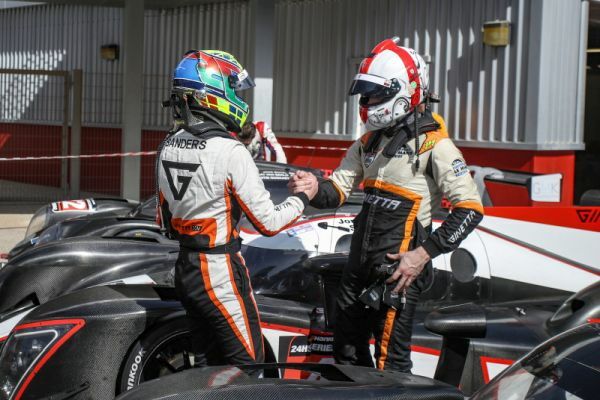 Following its 2nd place finish in-class on Saturday, the SPIRIT OF RACE Ligier JS P3 (#48, Piergiuseppe Perazzini / Kriton Lendoudis / Marco Cioci / Rui Aguas) rounded out the P3 podium in both races on Sunday, despite day-long wheel and understeer problems. In CN1, the Krafft Racing Norma M20 FCs shared the class spoils on Sunday, with the #97 (Max Bortolami / David Cristini / Régis Tref) taking the class win in race two in a nail-biting finish that saw both Normas cross the line barely one tenth of a second apart. In race three, the sister #98 entry (Daniel Kirmann / François Kirmann / Marc Vives) took its second class win of the weekend, but could not replicate its success from race one, in which the Norma finished 3rd overall and on the outright podium. 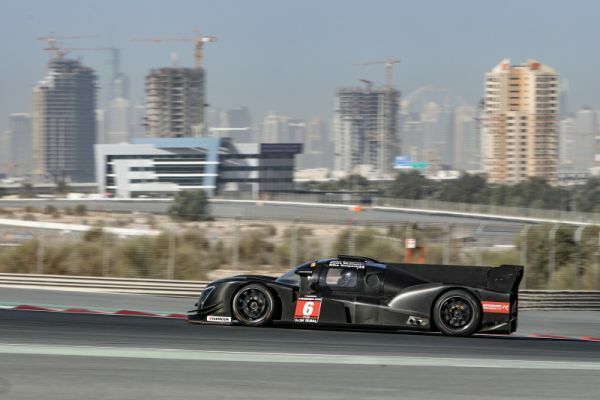 On home turf, the AUH Motorsport Radical SR3 RSX (#177, Salem Al Nusif / Mohammed Al Nusif / Mohammed Al Hassawi) rounded out the CN1 class podiums in both races. 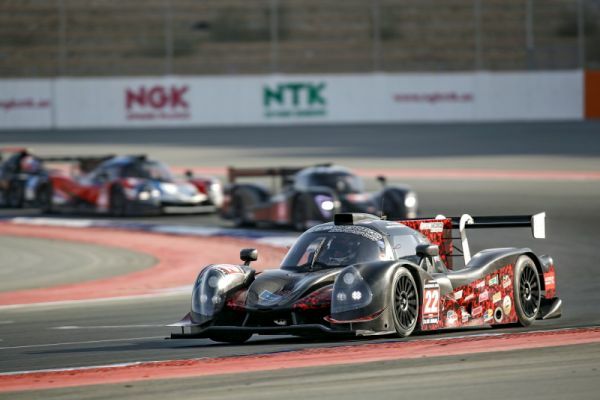 The 24H PROTYPE SERIES powered by Hankook is next in action on 9-10-11 March at the Hankook 24H SILVERSTONE in the UK. 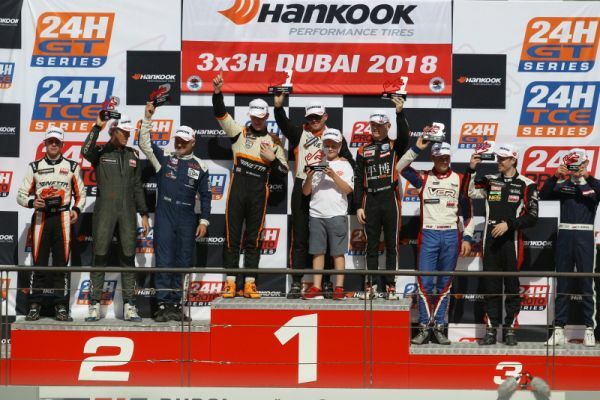 2018 endurance race action meanwhile continues on 11-12-13 January with the 13th running of the Hankook 24H DUBAI, the calendar continuing through to November when the series returns to the Circuit of the Americas, Texas, USA, for the season finale on 15-16-17-18 November 2018. Further information can be found at www.24hseries.com.